Retro museum includes exhibits from the period 1944-1989, which are telling in artifacts how Bulgarians lived under socialism. Bulgarian cigarettes without filter, Russian vacuum cleaners, household from East Germany, Polish cosmetics and most desirable cars produced in the former Comecon turn back the time machine. Retro Museum is the first museum in Bulgaria which is located in a shopping center and occupies an area of 4000 square meters in the biggest mall in Varna, Grand Mall. 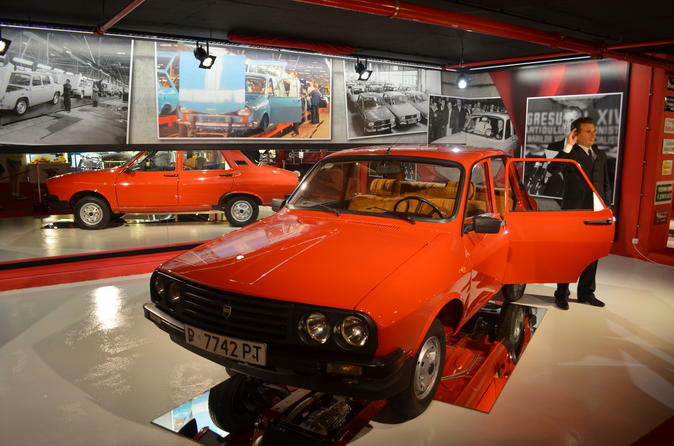 The museum exhibition is famous with a collection of over 50 cars from the era brands "Volga", "Moskvich", "Skoda", "Trabant", etc. - all of them impeccably restored. Next to them are exposed the popular bikes "Simson" and "Balkan". The star of the retro showroom in the museum is the classic "Chaika GAZ-13" – a limo on which rode the memberships of Politburo of the Communist Party. Special emphasis in the collection of the museum are the wax figures of great personalities of the era like Todor Zhivkov, Leonid Brezhnev and Fidel Castro, but also people favorites as Emil Dimitrov, Georgi Partsalev, George Kaloyanchev, Todor Kolev.e museum is located on level 1 in the parking area of the Grand Mall.